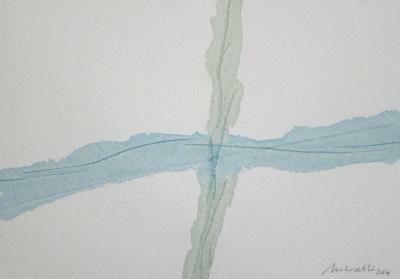 Mimmo Roselli, Bolivia 1, Watercolor on paper, 5 in X 7 in, 2014. Mimmo Roselli, Dialoganti Project, ink on paper, 5 in X 7 in, 2014. Mimmo Roselli, No Title, ink and cuts on paper, 5 in X 7 in, 2014. 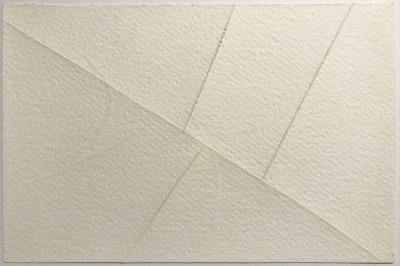 Mimmo Roselli, Untitled, watercolor and cuts on paper, 6 in X 9 in, 2016.